I am so excited about the years ahead. You should be too, if you are a child of Jehovah God. Join me and Tracey Barbour Ministries, as we take authority over our 2019, and over all the works of the enemy in our lives – How? 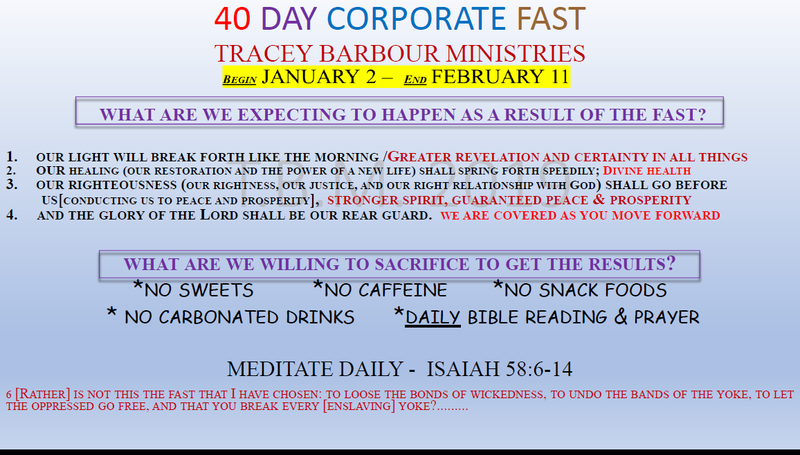 through our 40 Day Corporate Fast. I know it sounds difficult, but the truth is -You and I were made to dominiate this flesh, and command our world. So, PLEASE join me in “Setting the Stage” for 2019 and beyond…. Breakthroughs are awaiting YOU! To shine “The Light” of the uncompromised gospel of Jesus Christ through prophetic teaching, preaching and prayer ministry. To bring forth an awakening to the people of the world and enlarge the Kingdom of God. 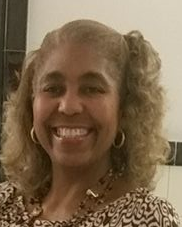 TRACEY BARBOUR MINISTRIES is doing the work of God through our global missions, books, television and radio broadcasts, conferences, retreats, leadership summits, men’s recovery facility, teen mentorship programs, women in leadership training, intercessory prayer training, praise and worship, audio & video teachings, nights of worship and community outreach. We are being true to the mission and the call – We are doing our part! Through our dedicated team and with the help of our financial partners we are causing an awakening to the truth of the power and authority that belongs to every person who has received Jesus as their Lord and Savior. God has empowered us, The Body of Christ, to rise up in His power, under the direction of the Holy Spirit, and take from the kingdom of darkness all the cities, states, nations and regions for the Kingdom of God. We are vessels pouring water to the world.